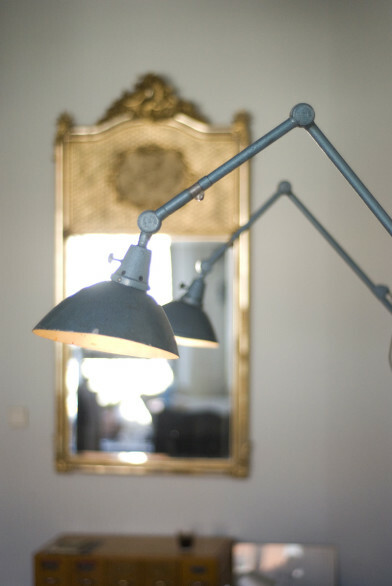 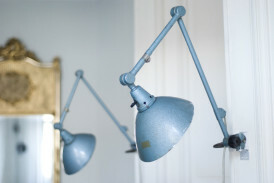 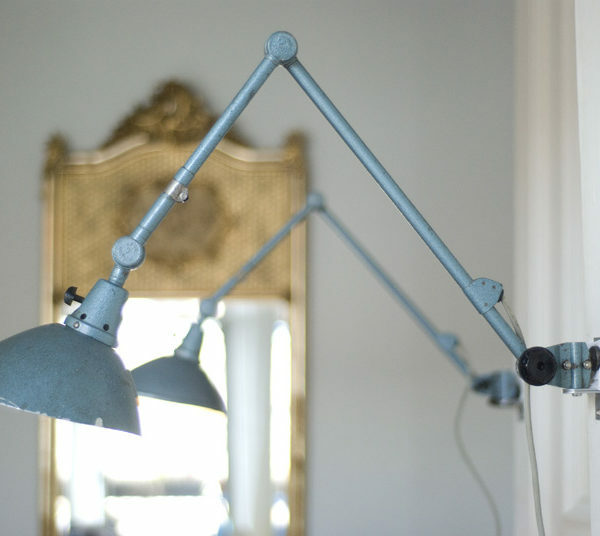 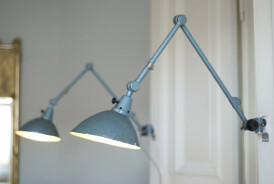 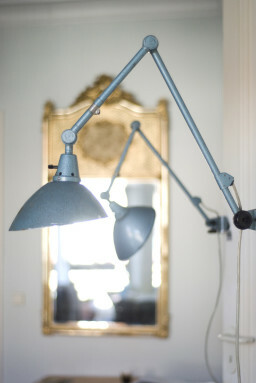 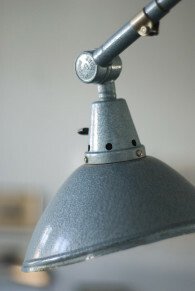 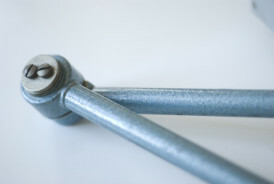 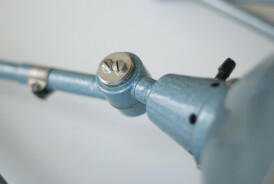 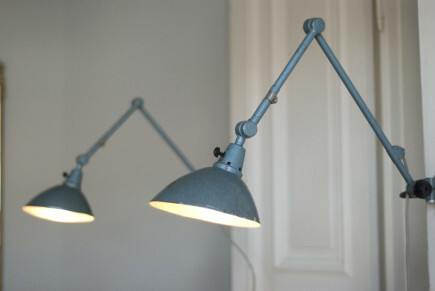 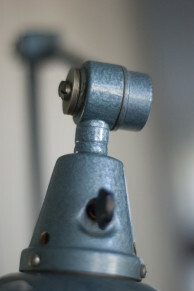 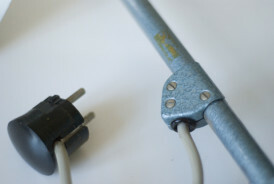 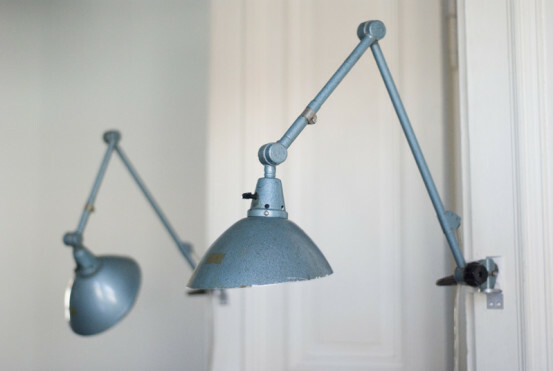 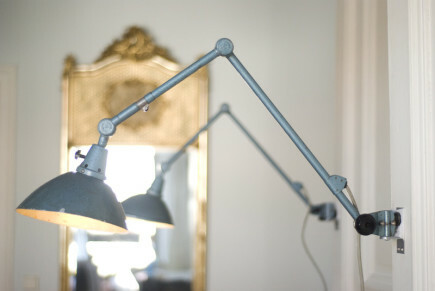 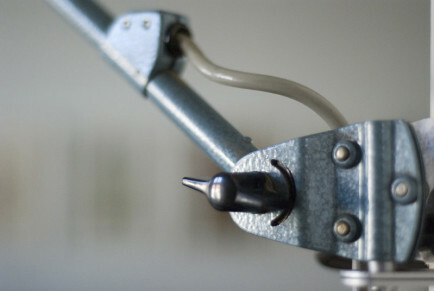 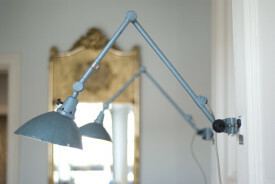 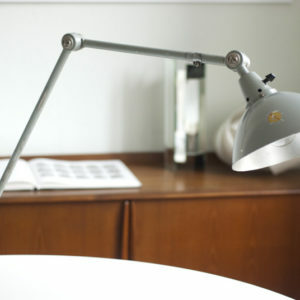 Duo of Midgard articulated lamps in original condition with blue hammertone finish paint and wide shade. 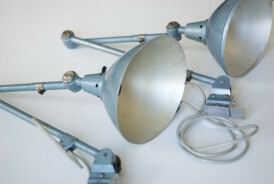 After the thorough dismantling cleaning of all elements, the lamps were checked and rebuilt again. 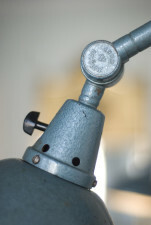 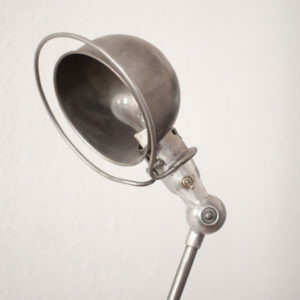 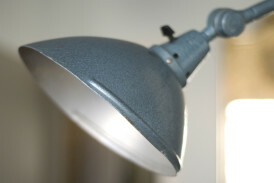 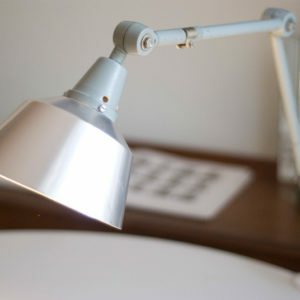 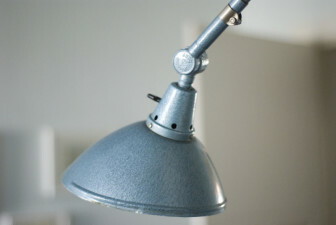 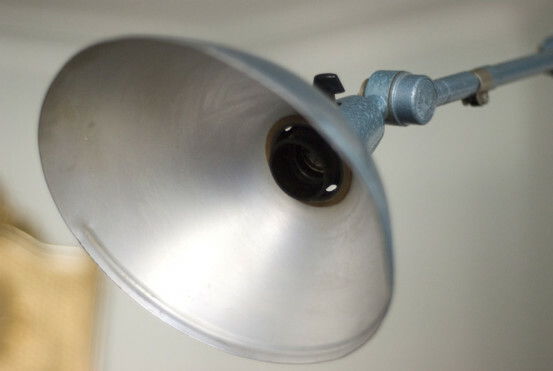 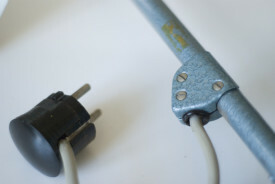 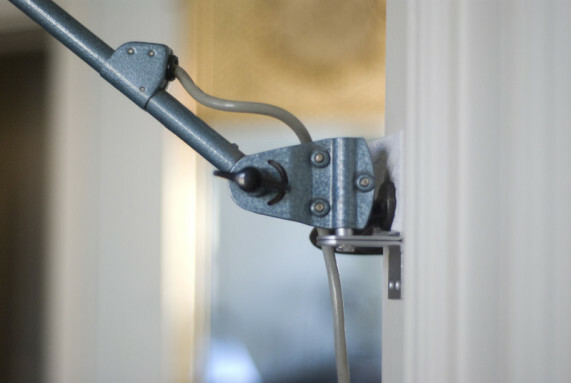 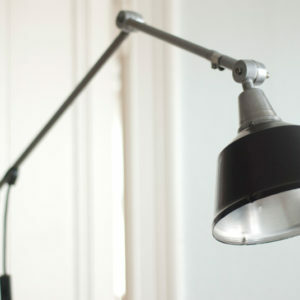 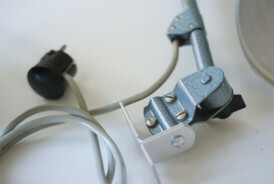 The lamps has signs of wear consistent with age and use. 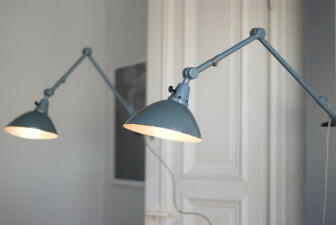 The lamps are engraved with MIDGARD and DDDR on the joints.